On 22-23 March the Confcommercio Forum was held at the Villa D’Este in Cernobbio, Italy; one of the participants was the country’s Minister of the Interior and Deputy Prime Minister Matteo Salvini. Sputnik spoke to Salvini to find out about his forecast for the upcoming European elections. 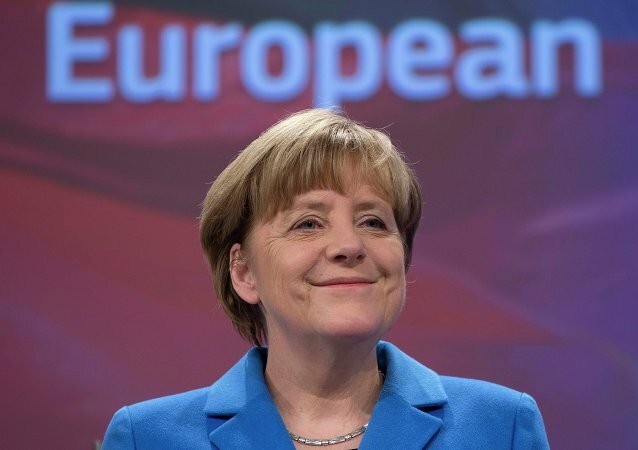 Last week, German Chancellor Angela Merkel voiced “full solidarity” with European Commission President Jean-Claude Juncker, who earlier suggested that Hungary’s ruling Fidesz Party should be expelled from the European People’s Party (EPP) group. 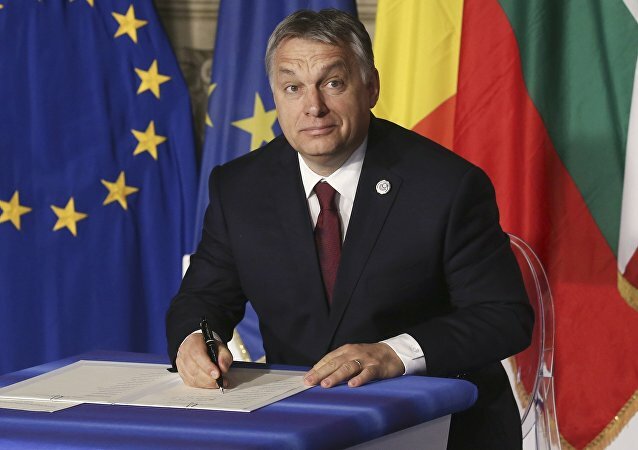 BRUSSELS (Sputnik) - Fidesz, the party of Hungarian Prime Minister Viktor Orban, may be expelled from the European People's Party (EPP) group in the EU Parliament after Budapest clashed with Brussels over migration. 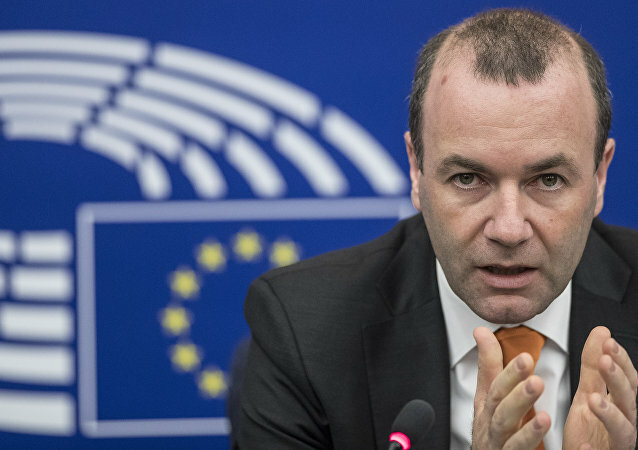 Donald Tusk, President of the European Commission, the EU's executive arm, has offered his vision of a Christian Democrat corresponding to someone who defends Western values. 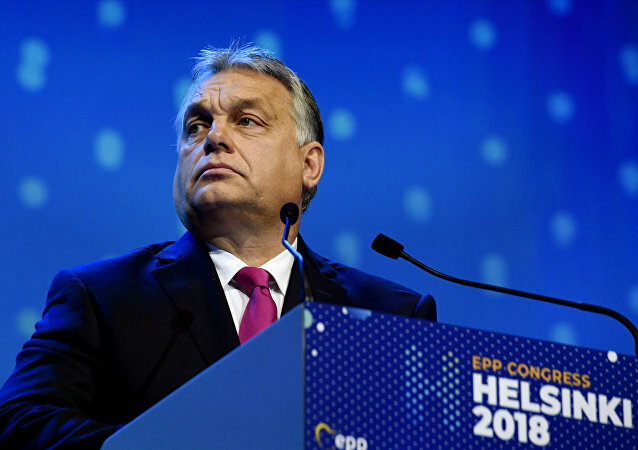 Although he did not call out any names, his tirade was apparently aimed at Victor Orban, Hungary's prime minister who has been a vocal critic of the EU's open-door policy. As Hungarians are set to go tp the polls on Sunday to elect the country’s new parliament, Radio Sputnik discussed Prime Minister Viktor Orban’s relations with Brussels with Boros Bank Levente, a political analyst and CEO of Medianezo Ltd.
European Commission President Jean-Claude Juncker has launched into a furious tirade at absentee MEPs after only 30 out of 751 turned up in Strasbourg. Mr. Juncker said it was "ridiculous," but was reprimanded by the European Parliament's president, Antonio Tajani. 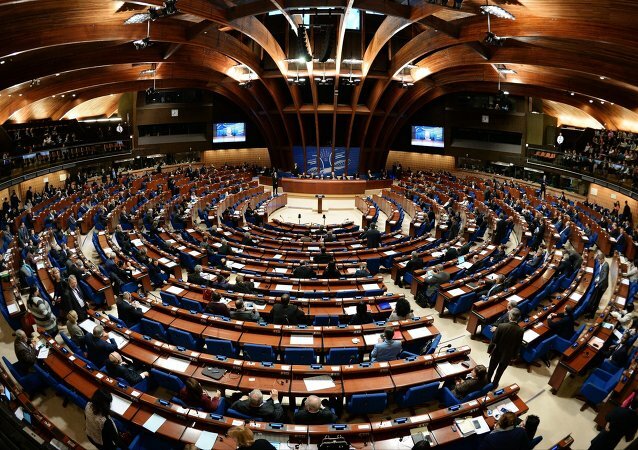 The European People's Party group has approved a motion of no confidence in its leader as PACE president, a Dutch PACE lawmaker said Monday. Members of the European Parliament (MEPs) have clashed over new proposals to requiring multinationals to report their tax bills, on a country-by-country (CBCR) basis in order to increase tax transparency by providing the public with a picture of the taxes paid by multinationals, and where those taxes are paid. A row has broken out in the European Parliament over plans to set up a new committee to examine intelligence failures which allowed attacks to kill and injure hundreds of people in cities such as London, Manchester, Nice, Berlin, Brussels and Paris attacks, in recent years. MEPs have said US President Donald Trump's threat to withdraw from the Paris Climate Change Agreement is a "terrific blow to the future of humanity and the next generations" and "economically and environmentally backward looking." 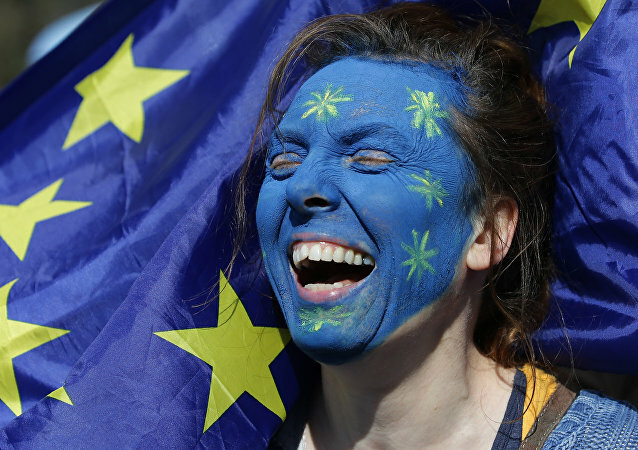 Only 22 percent of EU citizens want the focus of Brexit talks to be on building a new economic relationship with the UK, giving it special privileged conditions post-Brexit, according to a new poll, saying the main priority is for the protection of the remaining 27 EU members. 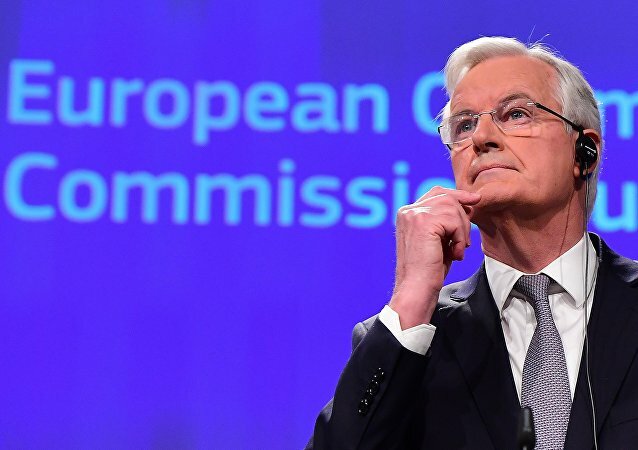 The EU's chief negotiator on Brexit, Michel Barnier, met Irish Taoiseach Enda Kenny and other politicians in the Irish Parliament, May 11 - the second time he has visited the country in his role - to press home his case for a soft border with the UK post-Brexit, in a sign of the immense sensitivity of the "Irish border" question. Members of the European Parliament (MEPs) have drawn up battle plans for the forthcoming negotiations on Britain's exit from the EU - Brexit - saying "Europe's citizens come first," "the EU is not for sale" and that the UK cannot "take EU citizens hostage" as red lines are drawn ahead of the start of talks. 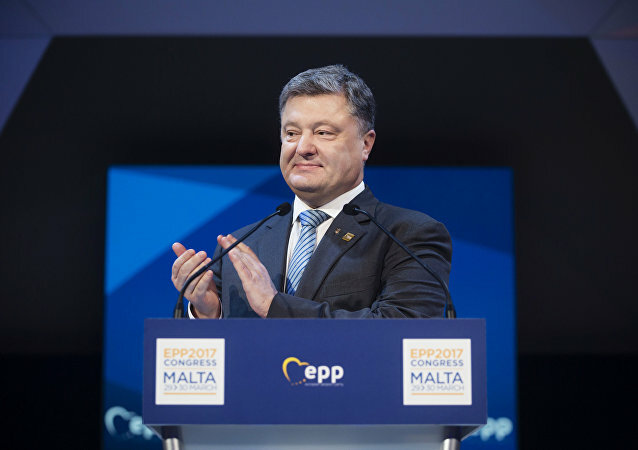 Ukrainian President Petro Poroshenko has asked the EU to create an economic assistance program for Kiev similar to the Marshall Plan, the US initiative which helped Western Europe rebuild after World War II. However, observers say Ukrainians shouldn't get their hopes up about any major economic assistance coming from Brussels any time soon. Two of the largest groups in the European Parliament have unveiled drastic plans to reorganize the EU - its institutions and constitution - amid rising anti-EU sentiment following the Brexit vote and upcoming elections in the Netherlands, France and Germany ahead of which polls show growing support for nationalism. 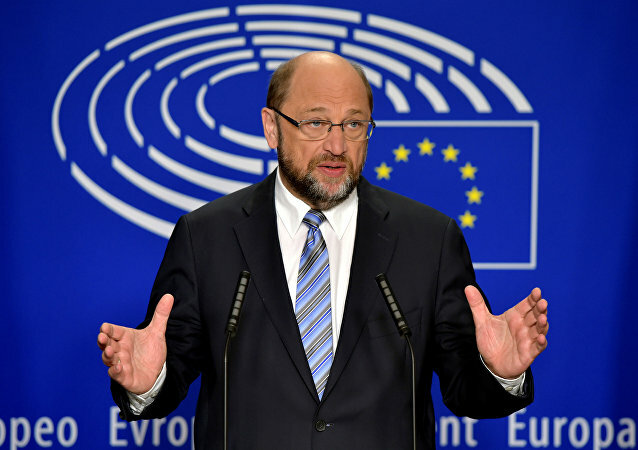 The European Parliament lawmakers on Tuesday will elect in a secret ballot a successor to Martin Schulz, who is stepping down in order to focus on the election campaign in his native Germany ahead of this summer parliamentary vote. 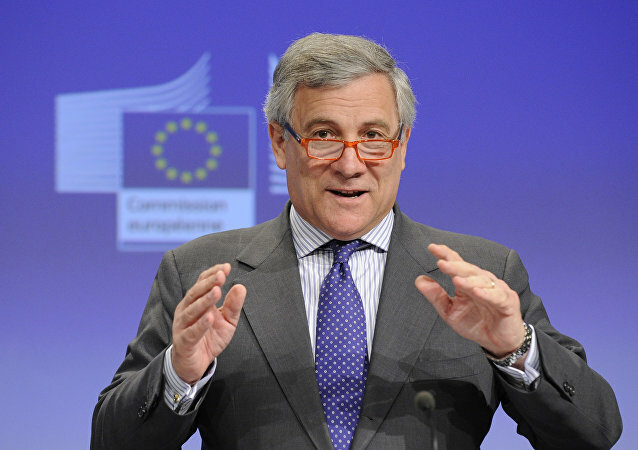 Antonio Tajani, an ex-spokesman for former Italian Prime Minister Silvio Berlusconi, is most likely to become the president of the European Parliament, a vice head of the Parliament told Sputnik on Thursday. The European Parliament meets Monday (December 12) for the first day of its final session of 2016 embroiled in a row over who should be the next president of the institution, with two political groups at loggerheads over the potential collapse of a cosy deal they have shared for years.